Chilean Metals Inc. (“Chilean Metals,” “CMX” or the “Company”) (TSX.V:CMX, OTCQB: CMETF, SSE:CMX, MILA: CMX) has contracted Precision GeoSurveys to conduct detailed Magnetics and Radiometrics surveys over three of the Company properties in the Cobequid Highlands including over the recently acquired Trident Prospect at Bass River. Chilean Metals Inc. (“Chilean Metals,” “CMX” or the “Company”) (TSXV:CMX, OTCQB:CMETF, SSE:CMX, MILA:CMX) has contracted Precision GeoSurveys to conduct detailed Magnetics and Radiometrics surveys over three of the Company properties in the Cobequid Highlands including over the recently acquired Trident Prospect at Bass River. This will be followed by IP surveys over the areas defined by interpretation of the Magnetics and Radiometrics to be high priority areas of interest for Cobalt and Base metals. 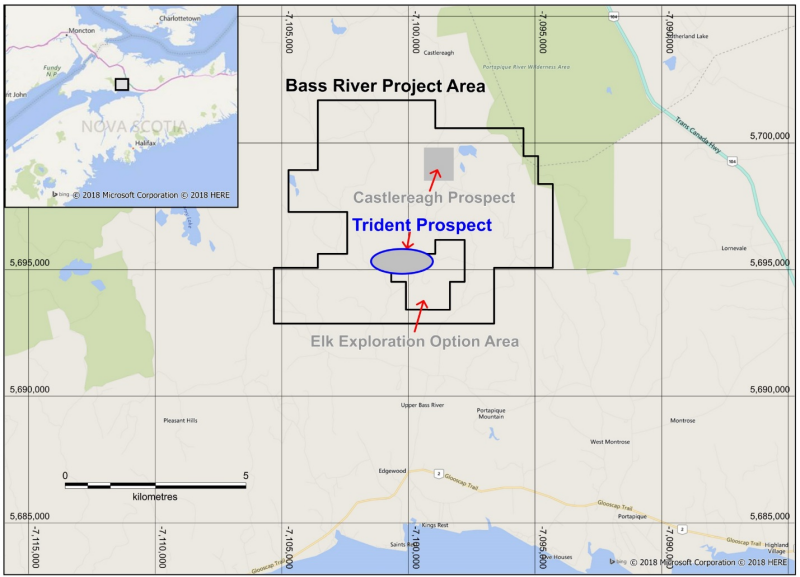 “We are very positive about our properties in the Cobequid Highlands and the potential for a major Cobalt and/or base metals discovery. We have just completed Phase 1 of drilling at the Bass River Castlereagh prospect and samples have now been submitted to ActLabs for analysis. We expect to receive assay results around mid July. We have also submitted drill core samples from historic drilling done on the combined Bass River project as much of the previous drill core was not sampled for Cobalt, Precious or Base Medals. These assay results will be integrated with data from the magnetics, radiometrics and IP surveys to define drill targets. We expect to conduct Phase 2 of drilling at Bass River on the “Trident” target commencing in the second half of Q2″ commented Mick Sharry Chilean President. Chilean Metals Inc is the 100% owner of four Copper, Cobalt & Gold exploration properties in Nova Scotia on the western flank of the Cobequid-Chedabucto Fault Zone (CCFZ); Fox River, Parrsboro, Lynn and Bass River North respectively.